Azrock TexTile VCT features random patterning to give the look of striated yarns running directionally. No two pieces are alike. 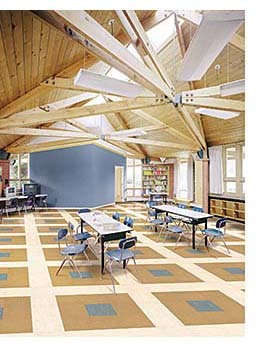 Available in 15 colors in 12-by-12-inch tiles or 12-by-24-inch planks. Floor Score certified with a total volatile organic compound score of less than 10 micrograms per cubic meter.